What's more heroic than saving the world? You have found the notebook and journal of Sir Alkian Bowguard, a knight of the highest honor and with an unbreakable code of chivalry. At least, he likes to boast about that. Or... liked is probably the more accurate word. 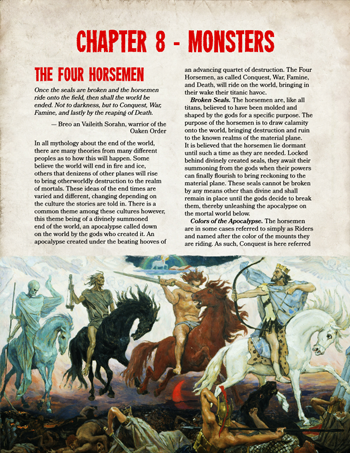 Sir Alkian's Guide to Surviving the Apocalypse is a guidebook for those who are looking to run apocalyptic scenarios in their 5e D&D games, ranging from an immediate danger that threatens the very structure of the world, to cases where the apocalypse struck a long time ago and people have lived in its wake for decades or centuries. 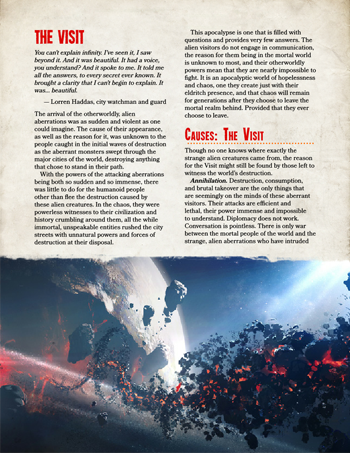 The guide can be used to shape worlds touched by any kind of calamity, not just those of an apocalyptic nature. 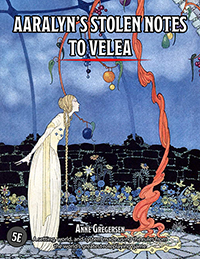 If a realm is ravaged by the powers of a cruel god or if society has fallen victim to a horrific disease, this book can serve as a guide on how an area reponds to such forces. The book contains guides on creating an apocalypse, including classics like the zombie apocalypse or an alien invasion, advice on how characters respond to different world ending scenarios, additional survival mechanics, and much, much more! Ten premade apocalyptic scenarios, including the zombie infested Horde, the plant-based monsters of the Growth, and the clashing of angels and devils in the Rapture. Seven creature templates to change the creature type of nearly any published monster - examples could be making dragon zombies, custom vampires, and robot dinosaurs. 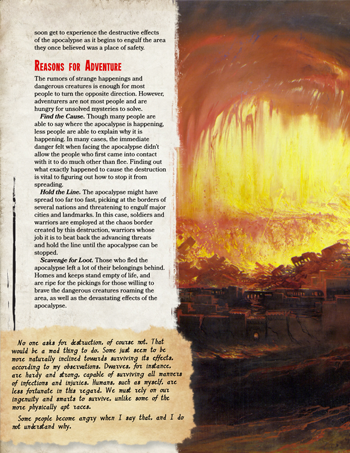 Several optional rules for enhancing the apocalyptic themes of your world and campaign, including rules for altered rests, stress and trauma, and scavenging. Three playable races - the Fey'ri, the Husks, and the strange and alien Voidalka. 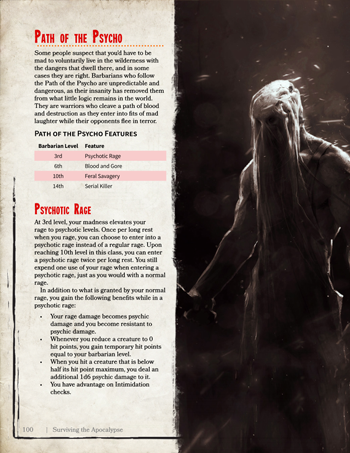 Five subclasses - the Barbarian Path of the Psycho, the Cleric Plague Domain, the Druid Circle of Embers, the Roguish Enhancer Archetype, and the Sorcerer Cursed Bloodline. Six new backgrounds - Afflicted, Cultist, Doctor, Raider, Runner, and Scavenger. 14 new monsters, including the Four Horsemen of the Apocalypse as well as their mounts. Notes and (sometimes useful) comments from Sir Alkian about various aspects of the world's end. ... and of course, guides and advice on how to create a world that has been affected by the apocalypse. Not convinced yet? Check out what the reviews are saying! "If you are starting a new campaign or simply adding a new dark chapter to a current one this book is a must have. [...] This is a 6/5 stars and I demand DM's Guild add the option for 6 stars just to drive home how good this product is." - Darren K.
"While billed as a guide for creating Apocalypses, the templates found in here can be used for any localized disaster or even extreme environments in general. 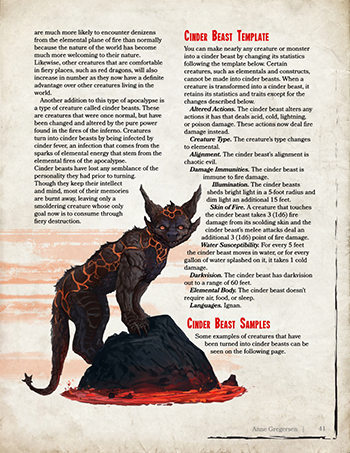 This will definitely be a boon for anyone who wants to build a harsh campaign setting that isn't a stock fantasy world." - Christian H.
"WOW. 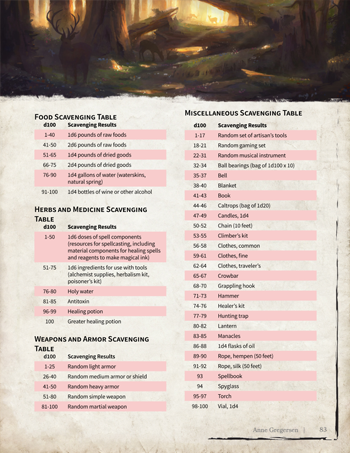 This is truly solid work and reading through it I immediately want to run a short campaign set in the dying years of my campaign world. I love it." - Will D.
"From beginning to end, the document is beautifully designed and makes it for easy reading you can tear through as you learn about the different apocalypses. It is fresh take on well known world enders and spins them just enough to make them new and interesting." - Jesper F.
Love the concept! Any chance of a print version of this product? Oh ok. Thanks for the prompt response.